Brighton and Hove’s council leader has hit back at calls for the city council to sell its portfolio of 59 restaurants and cafes. The call came from the national Taxpayers’ Alliance, which this morning produced a report of the leisure assets local authorities hold. But council leader Warren Morgan said they allowed the council to manage the city’s tourism offering and support its economy. 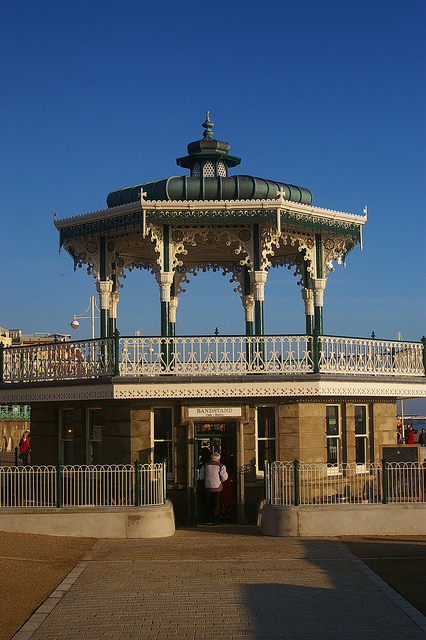 The restaurants owned by the council include freeholds to high profile sites such as Al Fresco, the Brighton Bandstand cafe and Dr Brighton’s on the seafront, as well as dozens of cafes in parks and the King’s Arches. 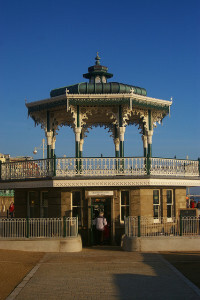 Council leader Warren Morgan said: “We have 59 seafront cafes and restaurants that we lease out. This helps keep our seafront shop window vibrant by ensuring we have a buoyant economy in this popular area with the right mix of outlets. “Of course it also contributes to our tourism offer, provides jobs and supports the council’s rental income and business rates. This in turn helps to keep council tax down and helps to subsidise essential services that we provide for our residents. “The important aspect to remember is that by controlling who rents these properties means we can limit the numbers of different types of retail outlet whether that’s those selling alcohol or ice cream or beach items which we would not be able to do if they were in private hands. “We do have clear asset management procedures that identify any properties that are surplus to requirements for disposal. Jonathan Isaby, Chief Executive of the TaxPayers’ Alliance, said: “It looks deeply hypocritical for councils to plead poverty as an excuse for hiking council tax when they’ve got such a huge asset portfolio. For too long the Right Wing Tax Payers Alliance has been calling on Councils and Govt to sell off our geese that lay golden eggs. Under no circumstance should we sell off our assets. Council assets provide an income. If something is sold off, that income is lost. The Duke of York’s is a Council freehold. Some fifteen years ago there was a proposal behind the scenes to sell it off to something that brings in more loot – naturally there was veiled uproar and the proposal faded away. Taxpayers Alliance are just a bunch of short termist Tory asset strippers and ideologs wedded to crzy ideas such as the small state and trickle down theory. Oh dear, you just can’t help yourself, can you? I feel comment conversations would be more polite if people used their own names. How mad have you got to be to sell off some off the most valuable freeholds in the country outside London?! Good for the council for having some backbone and sense. T.P.A go away, go a very long way away!! Hanging on to them will secure wealth (for all) for the future.